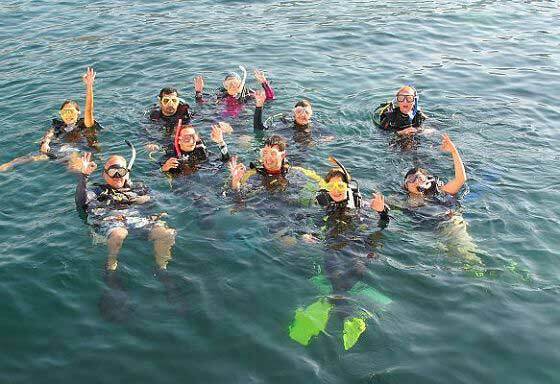 This SCUBA diving expedition will take you to the United Arab Emirates and from there to the remote and mountainous Musandam peninsula of Oman. There you will study the diverse coral reefs fringing the areas where the mountains plunge into the Arabian Gulf and the Gulf of Oman. 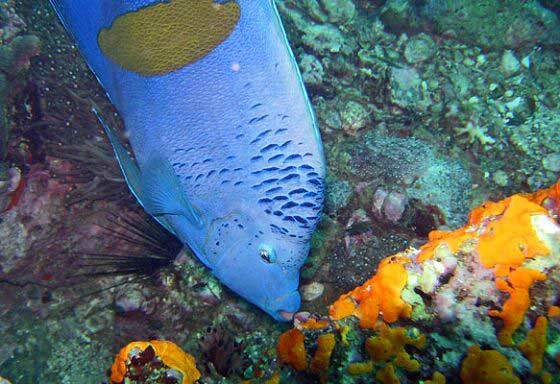 The reefs boast a rich mixture of beautiful corals and a multitude of fish and other animals. This pioneering long-term study to map this unique underwater environment has already led to the creation of a local NGO (Reef Check Oman) and two protected areas. More such areas are planned and Biosphere Expeditions’ research data is a crucial voice for reefs and their conservation as the government develops the area. Data collection follows an internationally recognised coral reef monitoring programme called Reef Check, and will be used to help encourage the government to make informed management and conservation decisions within the area. The expedition includes training as a Reef Check EcoDiver. 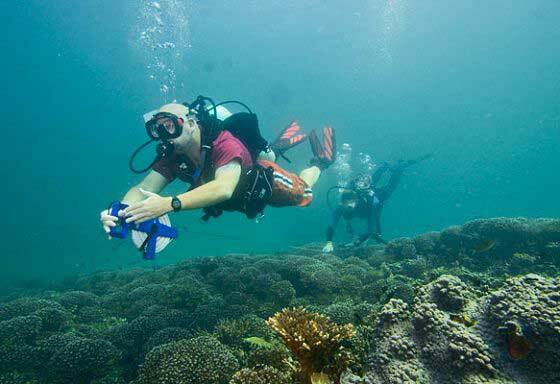 With this you are also eligible to apply for PADI or NAUI Reef Check Speciality Course certification. Please note that you need to be a fully qualified diver to take part in this expedition (minimum PADI Open Water or equivalent). 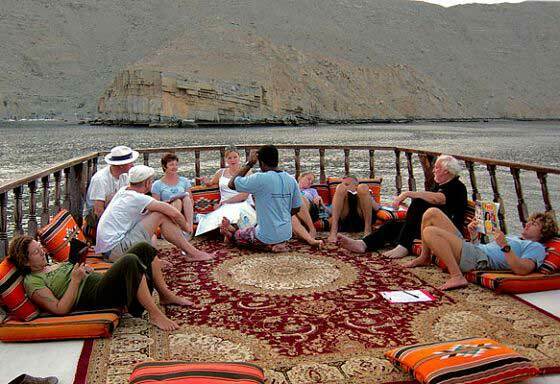 Come an join us in Musandam! Fjord landscape of limestone cliffs above water with coral reefs below. 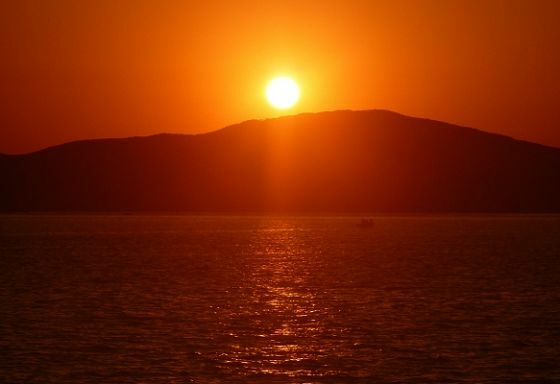 Warm to hot tropical maritime with an average of 10 hours sunshine every day. You will live on and dive from a comfortable & modern live-aboard dhow, with a fully equipped kitchen, air compressor, toilet & showers, an air-conditioned lounge, electricity and other modern amenities. Two people will share an air-conditioned two-bed cabin or you can spread out and sleep on the deck under the stars. Up to 12 team members + 1 local scientist + 1 expedition leader/divemaster. What kind of people will be on the expedition team? 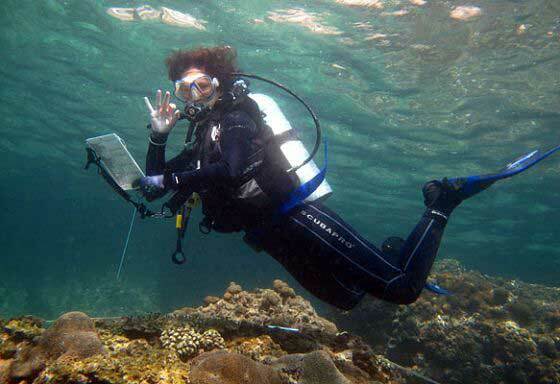 You don't need to be a scientist, but you do need to be a qualified diver (minimum PADI Open Water or equivalent). 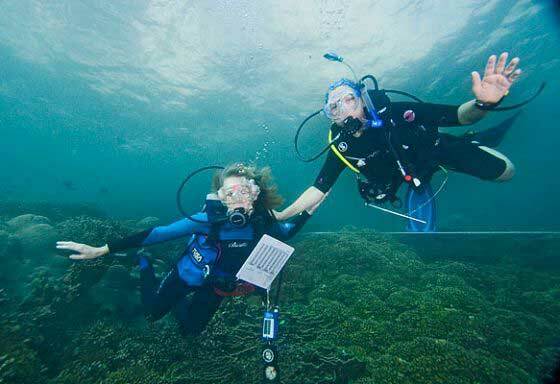 As a qualified PADI Open Water Diver, you will already have a reasonable level of fitness. Much of the Middle East and certainly countries such as the UAE and Oman run on foreign labour. So much so that up to 70% of people living and working in the country are foreigners, including many from Europe, North America and Australasia. They go about their daily lives just as you would at home, with crime rates extremely low. Terrorism is no more of a threat than at home and primarily targeted at local people. You are more likely to be hit by a bus or die from DIY than a terrorist attack. There has certainly never been any problem on the expedition or with anyone taking part in the expedition. 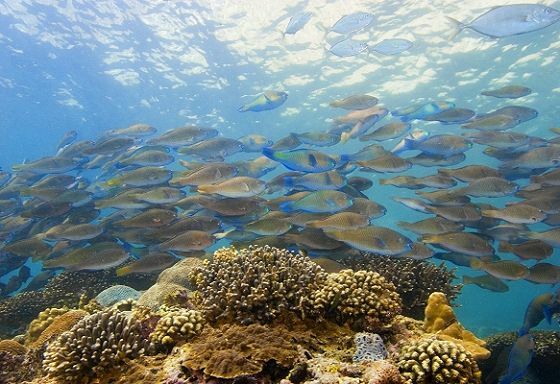 To monitor the health of the Musandam peninsula’s reefs, its fish and invertebrate communities so that informed management, education and conservation decisions can be made by the government. Although popular myth has Arabia down as a vast, flat and empty expanse of sand (and oil), Oman is quite different. In fact, there is a wide range of contrasting landscapes: high mountains, beaches, the desert landscapes of the Empty Quarter, coral reefs and even tropical habitats, where the monsoon touches Oman in the extreme south. The 650 kilometre coastline of the Musandam peninsula is strewn with rocks and coves, gradual steps, steep rocky slopes and cliffs that plunge to great depths all over the fjord-like landscape. The coral reefs that grow along the margins of this stunning landscape are still relatively untouched as influences such as industrial-scale fishing, pearl or scallop extraction or large numbers of recreational divers have not wreaked their destructive influence there. The area is therefore a prime target for studying intact reef ecosystems, conserving them for future generations and using them in the education of people locally and all over the world. Overall the scenery can only be described as spectacular with 1,000 m high, solid rock peaks dropping straight into the sea. 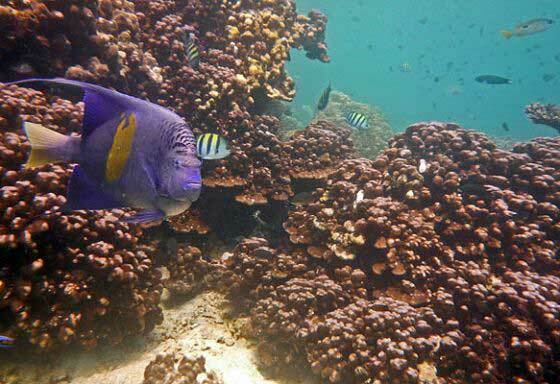 Below the water, coral reef development around the Musandam is one of the best in all of the north-western Indian Ocean. 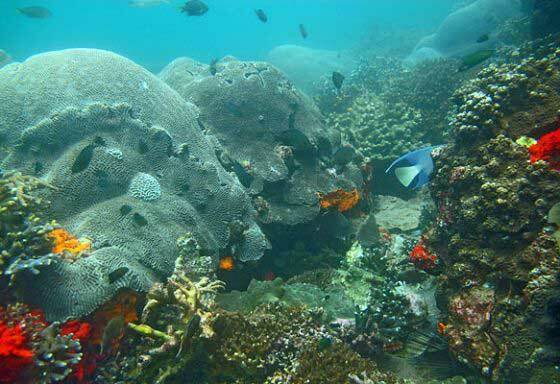 More than 100 species of hard corals form the framework of a complex coral community lining most of the rocky shores. Most coral communities are very diverse and show few signs of environmental stress. Some communities are dominated by branching hard corals, whereas in others, massive, slow growing colonies form the basis of the community. 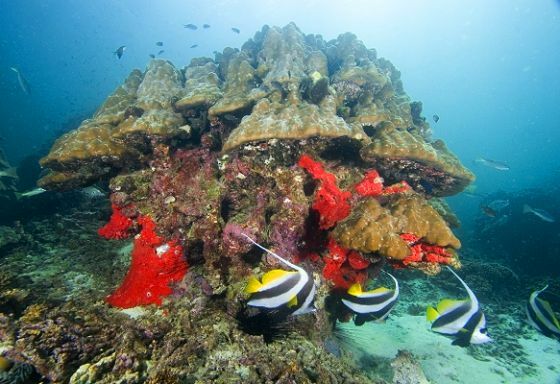 Musandam corals are very resilient, so reefs are in remarkably good condition compared to many other parts of the world, which have been ravaged by coral bleaching and death. 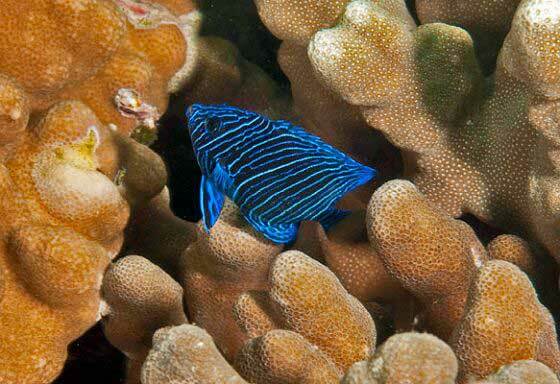 Percentage coral cover reaches the highest levels seen in the world (80-90%) with over 200 species present. There are grouper, emperors and schools of jacks, snapper and fusiliers. 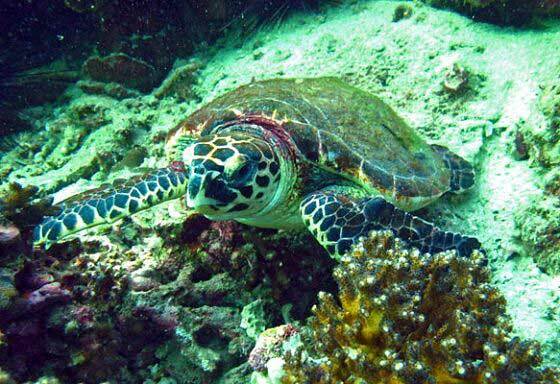 Turtles, lobster and sting rays can be seen with an occasional reef shark passing by. 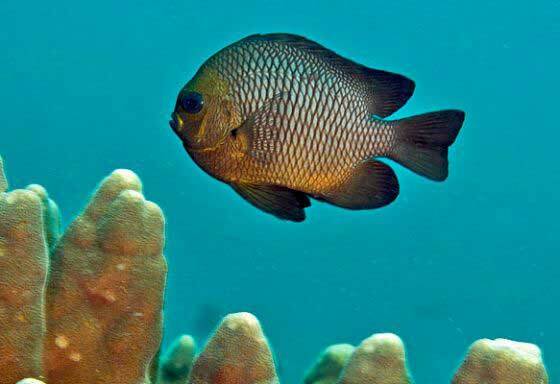 Colourful species endemic to the Indian Ocean and Oman are numerous. Blue and yellow Indian Ocean angelfish can be so common that they form schools. The Arabian butterflyfish is everywhere and hard to miss due to its brilliant yellow-orange colour. 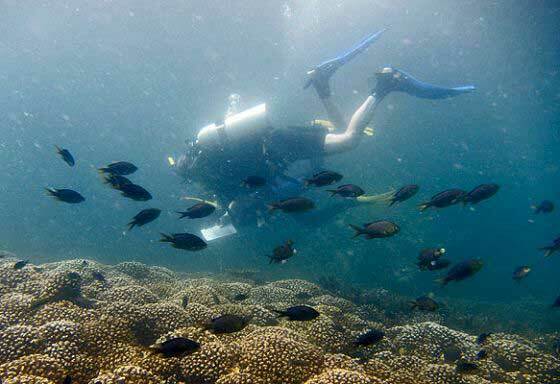 The dives range from walls to gentle rocky slopes covered by hard corals, with black coral and blue gorgonians common. All of our survey dives are to a maximum 20 metre depth. The expedition leader and the local scientist will prepare you for your fieldwork tasks and explain the research methods and goals. Talks are organised to make you familiar with safety, the equipment, the research (and your part in it) and the area in which it will happen. Open water dives are organised so that everyone can get comfortable in the water again and put into action the fish, invertebrate and other ID skills taught before the actual survey work begins. After a training phase (two days for the first non-Reef Check group and half a day for the second Reef Check group), your tasks will be predominantly dive-based and consist of several distinct underwater activities with the team split into buddy pairs. 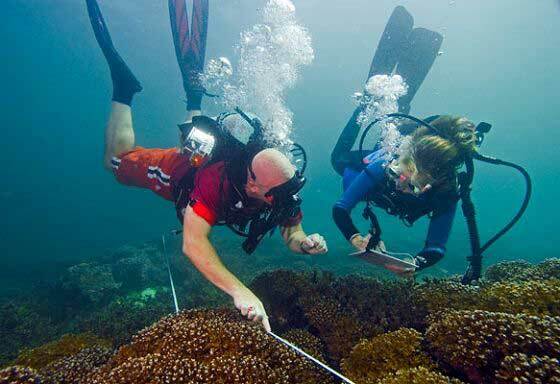 Depending on what your assignment is on the day, you and your buddy will, for example, be recording fish or invertebrates along the transect, or recording what kind of substrate (hard or soft coral, sand, rock, etc.) covers the bottom along the transect. Covering a transect will take you about one hour and you will dive up to three transects per day. 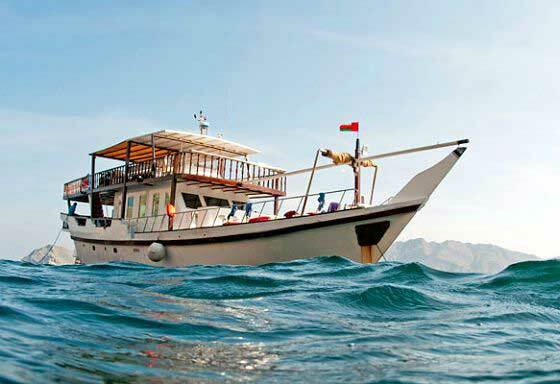 During the course of the expedition, you will be laying transects in different locations around Musandam. 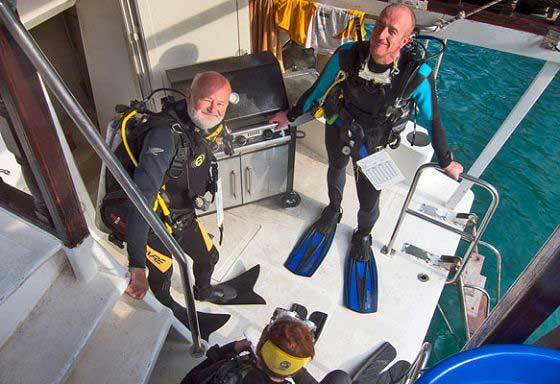 You will conduct up to three survey dives each day, followed by data entry. So your day will be taken up by diving, resting and entering the data you have collected. In the evening and between dives, there will be time to rest and relax on the live-aboard. The Musandam peninsula (sometimes also called the Norway of Arabia) is the northernmost part of Oman jutting out into the Strait of Hormuz at the entrance to the Arabian Gulf. 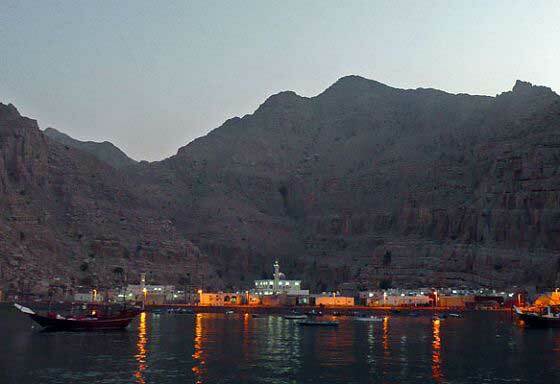 The province, or Governorate of Musandam as it is officially known, is separated from the rest of Oman by various parts of the United Arab Emirates including Ras al Khaimah and Fujairah. 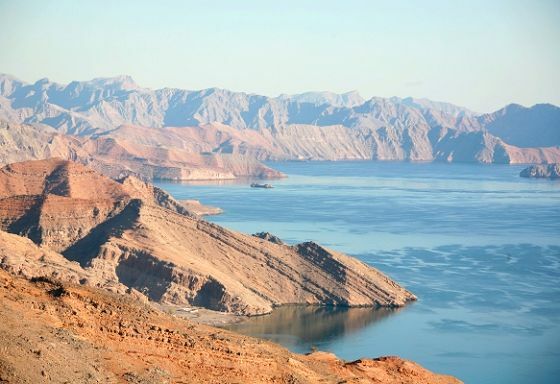 The Musandam more or less begins where the mountains rise from the plains of Ras al Khaimah. The remote and rugged mountains, which rise straight out of the sea creating fjords and stunning landscapes, have had isolated communities for centuries. Many coastal villages can be reached only by boat, as there are no roads on much of the peninsula. Pockets of flat land support subsistence agriculture. The population of approximately 29,000 is concentrated in the capital, Khasab (18,000 in 2004) in the north and Dibba (5,500) on the east coast. Fishing is the principal economic activity supported by employment in government jobs. On this marine conservation project, Biosphere Expeditions’ main partners are the Marine Conservation Society and Reef Check. Other partners include local dive centres and businesses, the local community, the Oman Ministry for Environment, the Oman Tourism Board, the Anglo-Omani Society and the Hyatt Grand in Muscat. This expedition was honoured in The Independent’s "Best Activity and Adventure Breaks" list. This expedition was honoured in the Daily Telegraph's "50 Amazing Wildlife Adventures" list. This expedition was honoured in Travel + Leisure's "Best Save-the-Earth Trips" list. Biosphere Expeditions was named on the Travel with a Mate's "Best Volunteer Dive Organisations" list. This expedition has surveyed the reefs of the Musandam peninsula since 2009 and has consistently shown outstanding reef formations fringing the coast. Recent surveys have also recorded manta rays and whale sharks on dives. A local capacity-building and educational programme has produced a colouring and educational booklet for local schools and distributed this around the peninsula and further afield in Oman. Local Omanis have been trained in reef survey techniques since 2010 and community-based monitoring programmes, as well as a local NGO (Reef Check Oman) have now been established in Oman by graduates of this programme. Armed with the hard facts of its annual research expeditions, Biosphere Expeditions has also influenced decision-makers in government towards the creation of marine protected areas (MPAs) since 2010. In November 2013 the Omani government created a significant protected area in two large inlets, banning all but handline fishing, so conservation initiatives are being progressed by government in partnership with our surveys. Plans for additional marine protection zones are being made as the government develops the area and Biosphere Expeditions’ data and experience are a crucial voice for reef and marine conservation in this process. 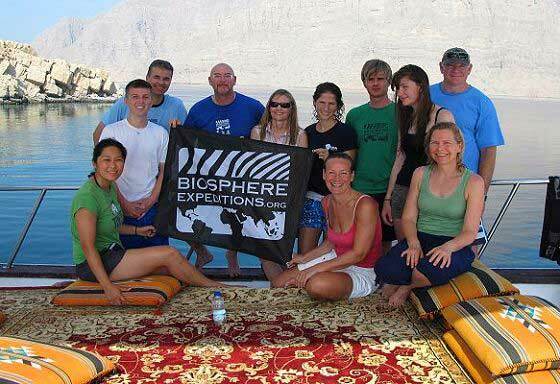 Interview about Biosphere Expeditions and its expeditions, including details about the Musandam expedition and Reef Check methodolody. 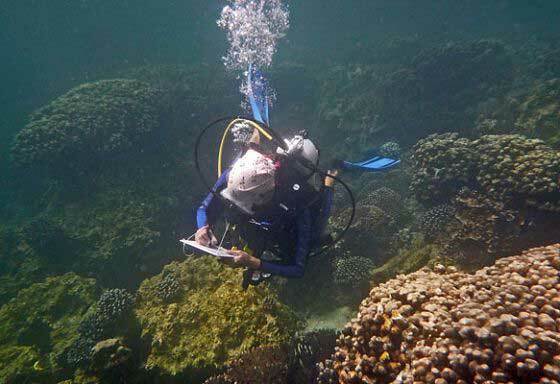 "The work of Biosphere Expeditions on the Musandam coral reefs has had a great impact in the region regarding the collection of scientific data and the creation of a marine protected area in a remote and little touched area of the sea. In addition there has also been a great increase in environmental awareness about this important underwater habitat - both locally through the creation of scholarships and educational programmes and influencing decision-makers, as well as internationally through the involvement of volunteers from all over the world. 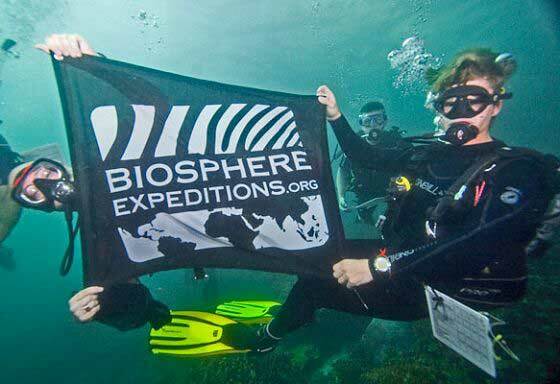 Biosphere Expeditions unites in an exemplary way in all their projects (including this scuba diving marine conservation project) two important subjects - science and awareness." "We have been privileged to be on the expedition. This group has really worked well together and the boat crew have been really helpful and it has to be said that the food was the best I have ever had on a boat. You are in for a treat. Another great expedition – see you again." "Oh what an expedition! Are they all like this? I feel lucky to have it as my first. SCUBA diving is a fantastic experience, but diving for the environment is another thing. Doing it in such a well-organised, task-oriented, yet friendly and harmonious way wherever we go was a delight. I am pleased to have made this step and look forward to repeating it again." Adel Abu Haliqa, 38, Abu Dhabi. "All credit to Matthias, Rita & crew. I have had a wonderful week, learnt so much. The expedition has helped me to understand the complex and frail reef environment and I hope to sign up again in the future." Rob Beaumont, 40, Dubai & UK. "Really enjoyable, good team, thank you!" "Thankyou very much for providing me with the opportunity to join this expedition. I learnt so much and met great people I will stay in touchwith. Thanks again – I very much appreciate what Biosphere Expeditions does." Anke Hofmeister, 33, Malidves & Germany . "I had a great time and learned a lot. Hope to do the expedition again next year." Ken Atkinson, 40, Dubai & Australia. "Thank you for a great outing!" Resilient reefs of Musandam (Oman) bucking bleaching carnage - a glimmer of hope for reefs in the face of climate change?